Located on the lower level of the dining room, the conference room is a great space for meetings, worship, lectures or breakout sessions. 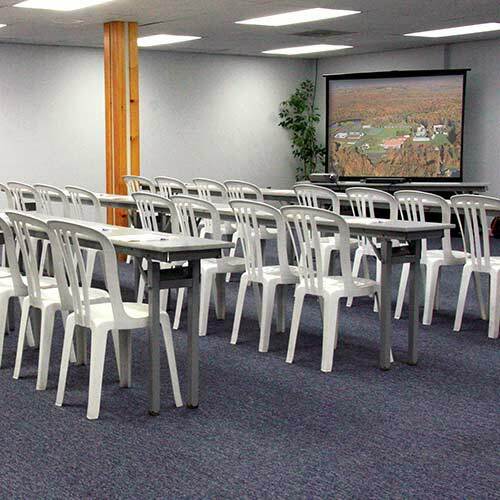 Featuring a sound system and ample seating space, the conference room has approximate seating capacity for 150. 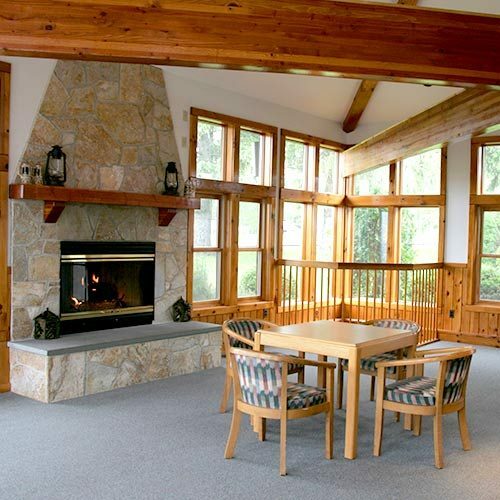 The spacious main level of the inn features a fireplace lounge with floor to ceiling windows, overlooked by a lounge on the second floor. With a capacity of approximately 20 upstairs and 45 on the main level, this meeting space provides an intimate setting for small group work or relaxation. Adjacent to our dining room, the Trophy Room features a stunning view of Bryn Mawr’s main campus. This room can be used for many functions including meetings, breakout sessions, cocktail hours and many other options regardless of the type of event you have. The Trophy Room has an approximate max seating capacity of 100 people. This building features oak floors and plenty of natural light. 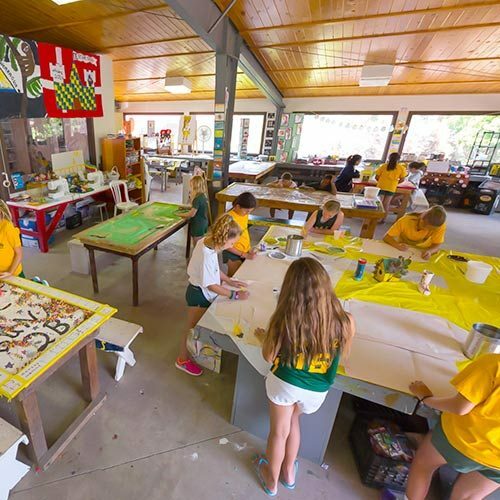 Conveniently located between the cabins and the dining hall, the fine arts building has an approximate capacity of 60, perfect for presentations and group sessions. 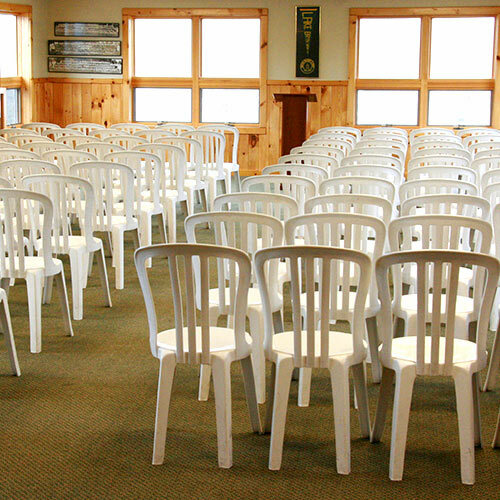 This spacious location features two rooms, the larger with seating capacity of approximately 160. This space has air conditioning as well as TV/DVD and audio equipment available upon request. Located near our gym and outdoor soccer fields, this space is perfect for additional meeting space or for any fitness related activities. 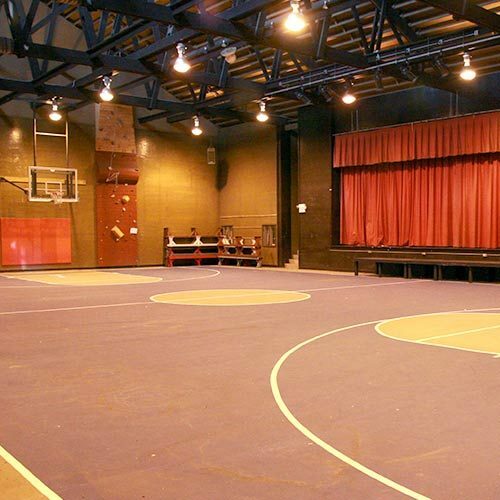 Our expansive indoor facility features a regulation basketball court, an indoor climbing wall, a stage for performances, as well as approximate seating capacity for 500 plus guests. 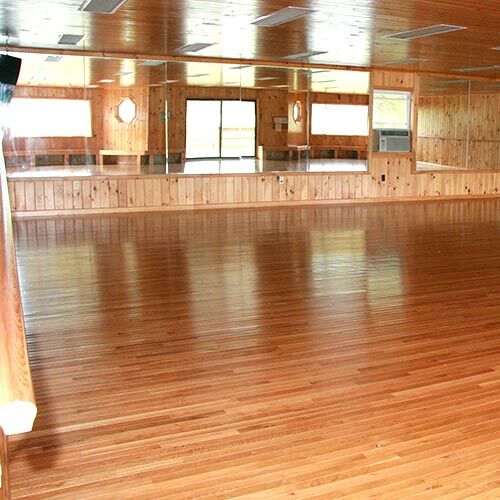 Used for both recreational and meeting purposes, this multipurpose facility is great for any group. A great addition to your event can be the use of our game room. Have some down time or want to watch the game? 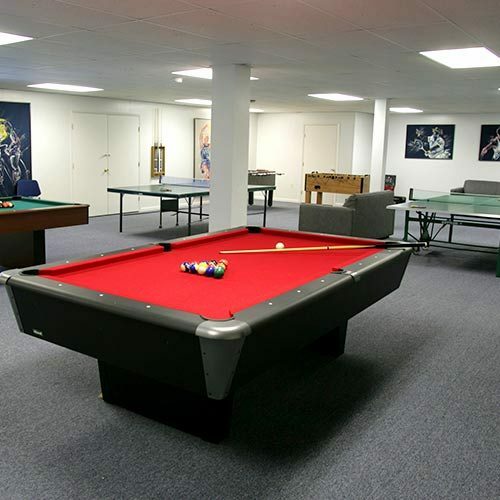 Head to our game room to enjoy a game of pool, ping pong, or to relax with a board game.